During the course of his conversion from noble soldier to wandering saint, Francis of Assisi appears to have misunderstood the voice of God. A command came to him while praying in the crumbling little church of San Damiano, a 20-minute walk downhill from Assisi’s walls, out of the Byzantine-style crucifix overhead. It said, roughly, Francis, repair my house, which is falling into ruin. Probably it was Francis’ nascent humility that saved him from perceiving then the call to a world-historical mission that would bring renewal to all of Western Christendom. He took the message literally: He started scheming ways of raising money to repair that little church. During the course of his conversion from noble soldier to wandering saint, Francis of Assisi appears to have misunderstood the voice of God. His first scheme left him disowned by his father and thrust into the arms of Lady Poverty, but eventually, he found a way to raise funds for the church’s repair. (Find the gripping details in the early accounts byThomas of Celano andBonaventure.) Thus began a brief demi-vocation of repairing little country churches. It is an episode that has come to be filed away as a hagiographic curiosity, even an error. But Francis himself remained loyal to those churches. Perhaps we should be more attentive to their lessons. San Damiano was the first of three country churches Francis repaired; it was there that he led his friend Clare to found her order and where she would remain until her death. The second, San Pietro della Spina, was near a leper colony where he ministered; of the three, it is the least visited and todaystands in need of repair once again. (Any takers?) The third was the little chapel of Santa Maria degli Angeli, known as the Porziuncola, where Francis would discover his preaching mission, found his order and eventually return to die. The Porziuncola now sits at the center of a mighty basilica near the Assisi train station, several miles below the city. Francis respected the ecclesial hierarchy and its great monuments, but the remote sanctuaries drew him most. Fixing them and tending to them trained him for a revolutionary ministry. These were the places where he heard God’s voice. Francis respected the ecclesial hierarchy and its great monuments, but the remote sanctuaries drew him most. He left no treatise explaining this preference, so one can only speculate. But experience can be a guide; it is still common enough in the Italian countryside to come across lonely little churches in need of repair. Their Puritan counterparts dot the middles of nowhere in the United States, too, especially along old roads since demoted by interstates. They could not compete with the megachurches’ economies of scale. Something gained, something lost. For Francis, a walk to San Damiano took him out of Assisi—out of its expectations, its gossip, its social inertia. The path took him off Assisi’s stone streets and into the hillside dirt, the bushes and the olive groves. San Pietro and the Porziuncola, on the arable plains further beneath Assisi, brought him among the workers he would come to join in the fields. The little churches served as destinations, but he learned from the journey of getting there, too. These structures were intimate and empty, lacking the spectacle of cathedrals and basilicas. They didn’t overwhelm their surroundings. They honed the part of Francis’ spirituality that learned to see the hand of God less in human wealth and splendor than in the natural, created world. It was while staying at San Damiano that Francis composed his “Canticle of the Sun,” whose refrain of laudato si’ became the title of Pope Francis’ encyclical on creation. We forget how a little, out-of-the-way church can also bring our faith out into the world, and bring us into the world, too. The little churches also taught him stewardship. Unlike a great cathedral, whose construction seems so completely beyond a newcomer’s ken, a little church invites participation. The design is plain, the construction techniques are obvious. Francis surely never had to do much manual labor before he began fixing churches; they taught him to work with his hands. They taught him how to build and tend something small before building and tending one of the church’s great orders. They helped him gain the confidence to take his vocation into the world as a wandering preacher. Adoration Economy: Where we pay attention, we lend our power. The spirit of the Second Vatican Council has not been kind to little churches. For the sake of bringing faith into the world, we build churches ready to welcome lots of people. We have traded mysterious shrines and private devotions for vernacular, participatory Masses. We forget how a little, out-of-the-way church can also bring our faith out into the world, and bring us into the world, too. The spirit of “Laudato Si’” might call us to revisit this practice so dear to Francis. Where can we repair little shrines or build new ones? How can we get back into the habit of tending them—together, among friends or neighbors? This can be practice for us, as it was for Francis. 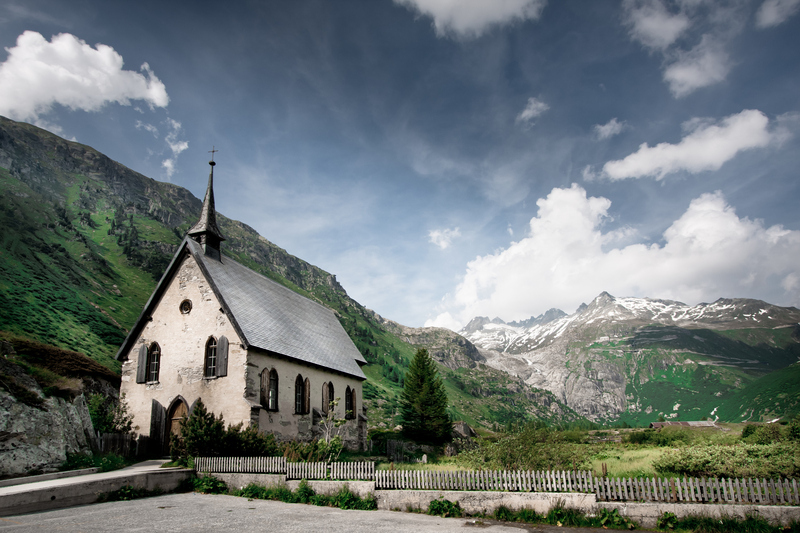 Little churches might teach us how to be better caretakers of the bigger church to which we belong and of the planet whose care we have so grievously neglected.